Local Legend - Lleucu Llwyd at Dyfi Valley & Coast01654 703 965workFamous Person or GhostLleucu Llwyd is one of Wales’s most tragic love heroines, often referred to as the ‘Welsh Juliet’. She lived on Dolgelynen Farm near the Dyfi river around the mid fourteenth century, and was reputedly a very beautiful young woman. Lleucu fell in love with a young poet, Llywelyn Goch the son of Meurig Hen, but her father wouldn’t agree to the match, and did everything he could to separate the young lovers. During their courtship, Llywelyn Goch was forced to travel to South Wales, but vowed that he would return to marry Lleucu. While he was away, her father saw his chance, and told Lleucu that Llywelyn had betrayed her and married another. This broke Lleucu’s heart and she died. Llywelyn returned soon afterwards to Dolgelynnen to fulfil his vow and marry Lleucu, but in fact, his return coincided with her funeral, and he helped to bury her. The records of St Peter ad Venacular church in Pennal record that Lleucu was buried under the church alter in 1390. The tragic story of Lleucu Llwyd has continued in popular Folk tradition in Wales mainly thanks to Llywelyn Goch’s (1350 – 1380) poetry. His elegy for Lleucu is considered one of the leading pieces of its time. Lleucu Llwyd is one of Wales’s most tragic love heroines, often referred to as the ‘Welsh Juliet’. 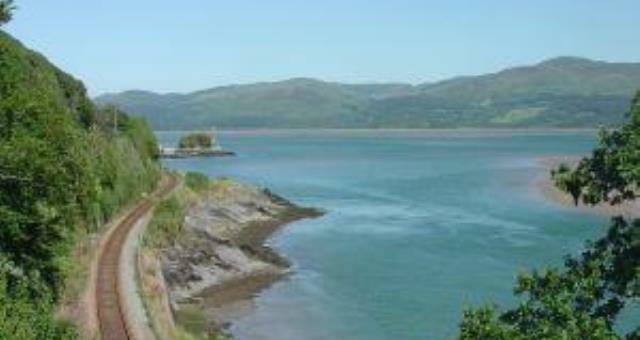 She lived on Dolgelynen Farm near the Dyfi river around the mid fourteenth century, and was reputedly a very beautiful young woman.